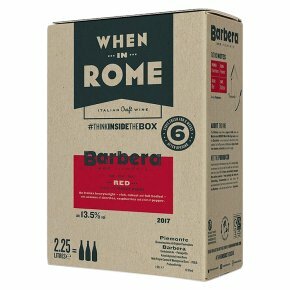 Wine of Italy.An Italian heavyweight - rich, robust and full bodied - with aromas of cherries, raspberries and a hint of pepper. About this Wine This Barbera comes from a range of hills within the Monferrato UNESCO World Heritage area called the Zucchetto - a word also used to describe the 'little pumpkin' hat the Pope wears. Infallibly good, enjoy it with rich risottos, red meat and, why not... haggis.